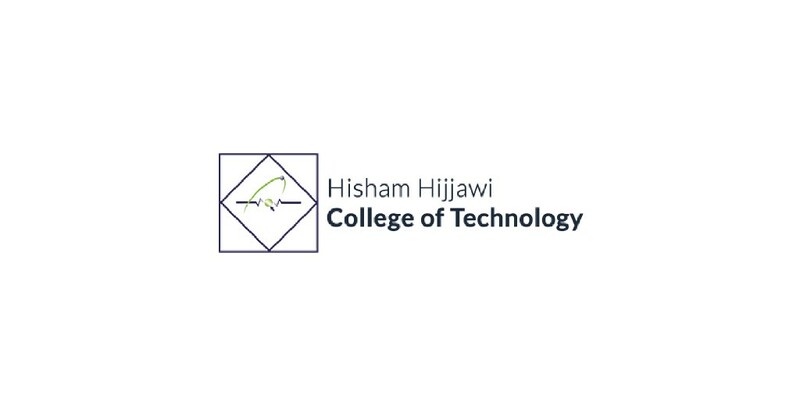 Hisham Hijjawi College of Technology began operating in October 2001 and was established through grants from Palestinian, Arab and International Institutions as well as donations from the German Government. The college is a post-secondary polytechnic institution, training and qualifying high school (Tawjihi) graduates through a two-year program of advanced applied work which will produce technicians in twelve fields of specialization. The college is capable of accommodating a thousand full-time students for two years (yearly enrollment of five hundred students) in its training system, in addition, the college offers non-formal training and retraining of existing labor force, and other beneficiaries in short-term courses, designed to train and upgrade certain technical skills. Hisham Hijjawi College of Technology aspires to become a prominent institution in teaching, technical training and applied scientific research to serve the Palestinian community in the field of technology. Hisham Hijjawi College of Technology offers professional and technical training programs that match the national labor market standards. It also encourages technical and applied scientific research, individual and social work as well as implementing technology to improve the Palestinian community. In addition to that, the college always aspires to seek ties between local and international institutions, Qualifying graduates in technical fields according to the labor market demand, in an efficient, effective and sustainable manner. 1. To provide a technical education base in northern Palestine to equip Palestinian youth with technical and industrial skills, thus producing the highly valuable technicians (VTET stage2). 2. To introduce specializations in engineering and industrial fields in response to market demand. 3. To help secure suitable employment and assist in realizing self-reliance to its graduates. Complete address: Cannot determine address at this location.